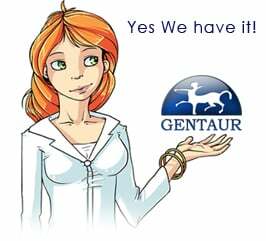 Gentaur antibody-antibodies.com The Marketplace for Antibodies : Transcriptome analysis of human gastric cancer. Transcriptome analysis of human gastric cancer. To elucidate the genetic events associated with gastric cancer, 124,704 cDNA clones were collected from 37 human gastric cDNA libraries, including 20 full-length enriched cDNA libraries of gastric cancer cell lines and tissues from Korean patients. An analysis of the collected ESTs revealed that 97,930 high-quality ESTs coalesced into 13,001 clusters, of which 11,135 clusters (85.6%) were annotated to known ESTs. The analysis of the full-length cDNAs also revealed that 4862 clusters (51.7%) contained at least one putative full-length cDNA clone with an initiation codon, with the average length of the 5' UTR of 140 bp. A large number appear to have a diverse transcription start site (TSS). An examination of the TSS of some genes, such as TEGT and GAPD, using 5' RACE revealed that the predicted TSSs are actually found in human gastric cancer cells and that several TSSs differ depending on the specific gastric cell line. Furthermore, of the human gastric ESTs, 766 genes (9.5%) were present as putative alternatively spliced variants. Confirmation of the predicted spliced isoforms using RT-PCR showed that the predicted isoforms exist in gastric cancer cells and some isoforms coexist in gastric cell lines. These results provide potentially useful information for elucidating the molecular mechanisms associated with gastric oncogenesis. Gene expression profile analysis of ENO1 knockdown in gastric cancer cell line MGC-803. [Bioinformatics analysis of expression and function of EXD3 gene in gastric cancer]. Importin-4 functions as a driving force in human primary gastric cancer. Enrichment of CLDN18-ARHGAP fusion gene in gastric cancers in young adults. Long non-coding RNA FLJ22763 is involved in the progression and prognosis of gastric cancer.